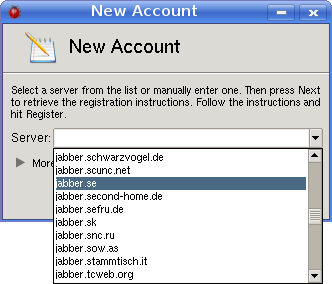 To register a new account, select New Account in the File menu. 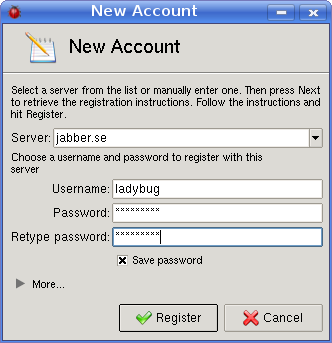 The dialog to register a new account will appear. Select or enter a server. Click on Next. The dialog will expand. Enter a username and a password. Click on Register. Your new account is registered.